Élan Magazine Feature, April Issue. See the full publication here. Greenhill Winery and Vineyard's New Building, Grand Opening featuring IT Paintings! 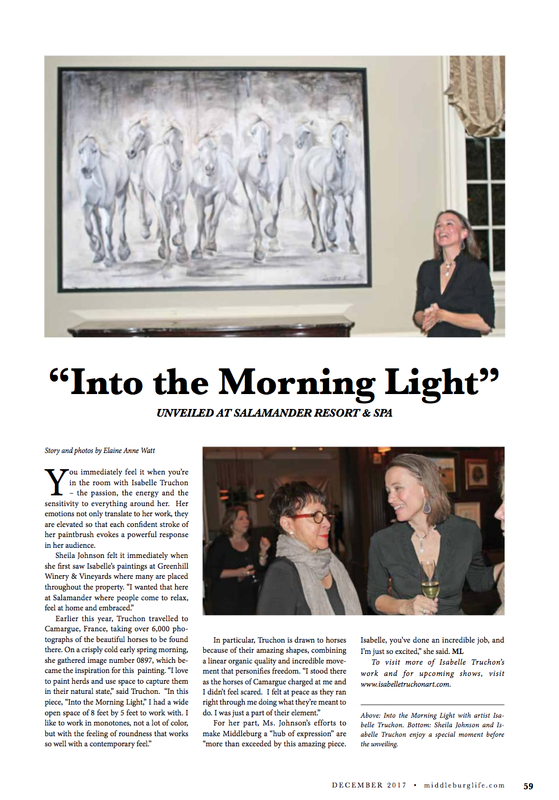 Duvall Gallery Designs Breaking Through Solo Exhibit Article. Sculpture WOMB on exhibit in DC.